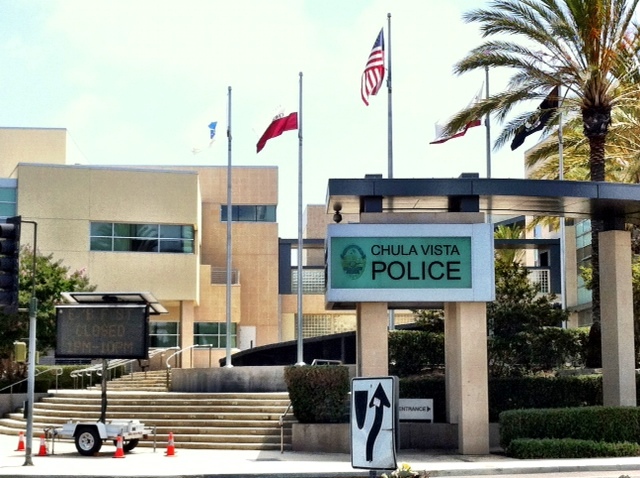 Seventy South Bay motorists were facing fines Monday for using their cell phones while driving following a fourth crackdown operation by Chula Vista police this month. The latest group of motorists cited were ticketed between 11 a.m. and 5 p.m. Sunday, according to a statement by Chula Vista Police. 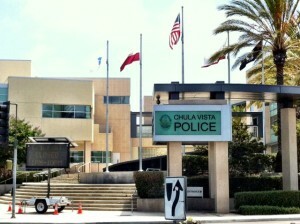 Chula Vista Police Department. File photo. Fifteen of the 70 motorists cited were caught texting and the others used their phones in some other manner, police said. Sunday’s crackdown marked the fourth time this month that Chula Vista police targeted distracted drivers with a special operation. On April 10, police ticketed 15 motorists for texting and another 60 for using their phones in some other manner and on April 17, eight motorists were ticketed for texting and another 44 were cited for using their phones in some other manner. Last Thursday, 83 motorists were cited for using their cell phones, including 13 who were caught texting, police said. The minimum fine for a first-time violator is $161, and at least $281 for repeat offenders.